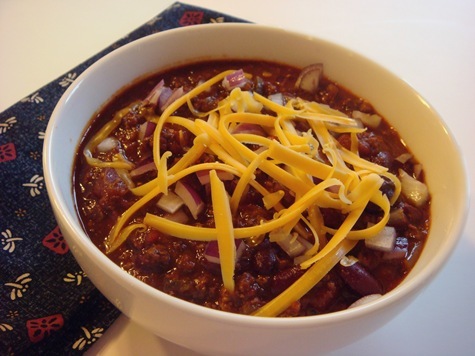 One of my favorite things about this meal (besides the bacon, cheese and green chilies) is that it is easy to make this into 2 meals. One for now, one to put in the freezer for another day. The bacon, cheese and green chilies filling doesn’t hurt any either. 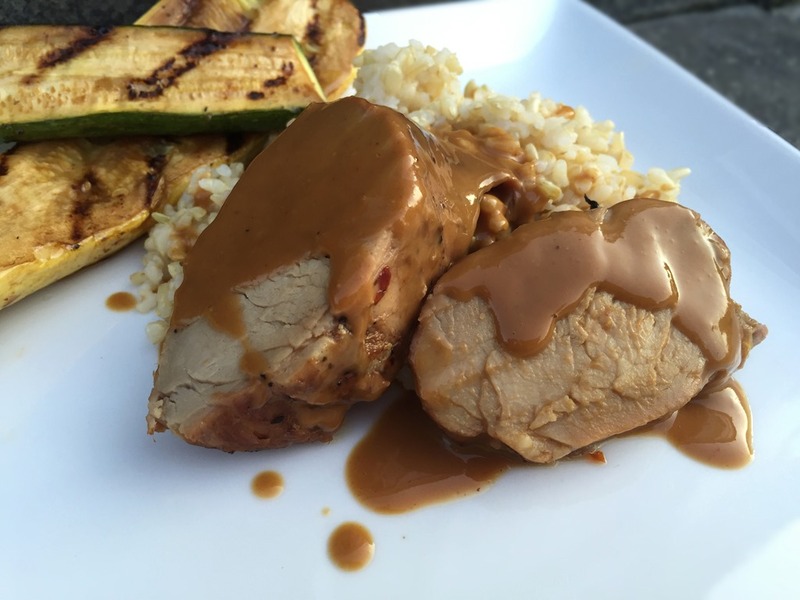 Stuffed chicken is best made with flattened chicken breasts. Chicken breasts seem to get larger every day, so for this recipe I start with 6 large breasts, cut them in half cross-wise, and then pound them flat, giving me 12 decent portions. If you have small chicken breasts, you can pound them whole. To flatten chicken breasts, I use a gallon-sized Ziploc bag. I cut off the top (where it seals), and also cut down one of the sides, so that it is easier to get the chicken in and out. 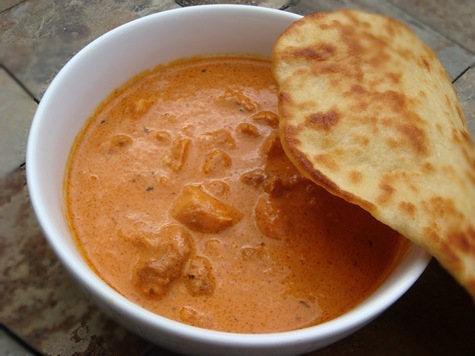 Place one chicken breast in the bag and use the flat side of a meat mallet (or other flat heavy object-like the side of a filled soup can) to pound chicken until it is about 1/4” thick. The flatter you get the chicken, the more room there will be for filling! And that’s why we are really eating this anyway, right? The chicken is just an excuse for not eating bacon-chili-cheese dip with a spoon for dinner. Spread the filling on the flattened chicken breasts and roll, beginning with the smallest end. Secure with toothpicks, if necessary. Dip chicken breasts in beaten egg and then a combination of Parmesan cheese and crushed tortilla chips. Place in a greased baking dish and bake for 30-45 minutes, or until cooked through. Cooked chicken will feel firm to the touch, but not hard. This recipe makes 12 stuffed chicken rolls. In the above picture, you will notice there are only 5. One lonely cheese-less chicken roll is hiding out in another baking dish. Prepare stuffed chicken breasts. Before cooking, place rolls on a foil or parchment paper lined baking sheet. Place in the freezer for several hours, or until firm. Transfer frozen chicken rolls to a labeled Ziploc bag. Return to the freezer. These can be cooked directly from the freezer; no thawing necessary (cook an additional 15-30 minutes). Spray a baking dish with nonstick spray. Cut chicken breasts in half cross-wise. 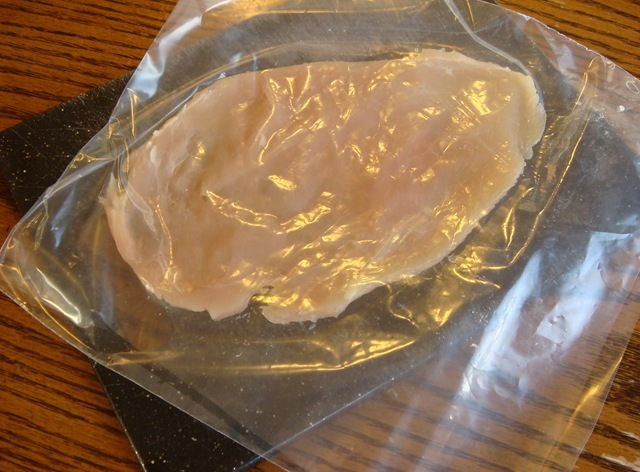 Place a chicken breast half in a Ziploc bag (don’t seal) and pound until chicken breast is very thin, about 1/4 inch. Repeat with remaining breasts. In a bowl, stir together bacon, cheddar/Monterey Jack cheese, chilies with juice, and sour cream. Spread about 1-2 Tbs cheese mixture over each chicken breast, avoiding the very edges. Roll up the chicken, starting with smallest end, and secure each chicken breast with 2 toothpicks. Combine Parmesan cheese and tortilla chips in a wide bowl. 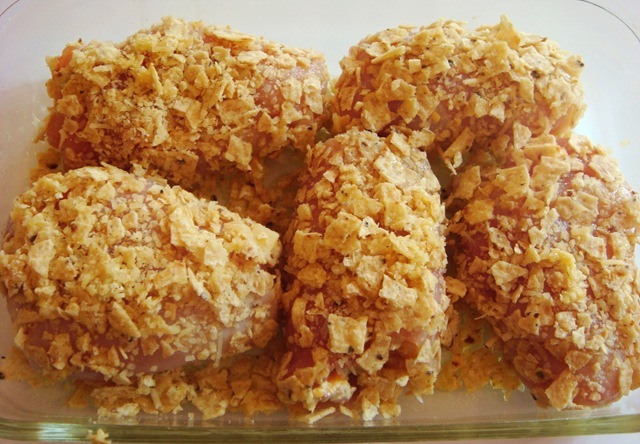 Dip chicken rolls in beaten egg, and then roll each chicken breast in Parmesan/chips mixture. Place chicken in baking dish and bake for 30-45 minutes, until the chicken is firm, but not hard, to the touch. Serve with salsa, if desired. *****NOTE: I usually serve 6 for dinner, and freeze the other six on a parchment paper (or foil) lined baking sheet until frozen. Transfer the frozen stuffed chicken to a Ziploc bag to store in the freezer. Bake directly from freezer at 375°F for about 45-60 mins. This is one of those recipes for which I very rarely measure ingredients. The recipe below includes specific amounts, but feel free to just use these as guidelines. I usually use chicken that I have prepared another day (for shredding chicken in a crockpot, see this other recipe for enchiladas) and frozen in Ziploc bags. The filling is a simple mix of shredded chicken, cheese, taco seasoning, green onions or chives (one of the few things still growing in my garden) and some of the sauce that also gets spread on top. 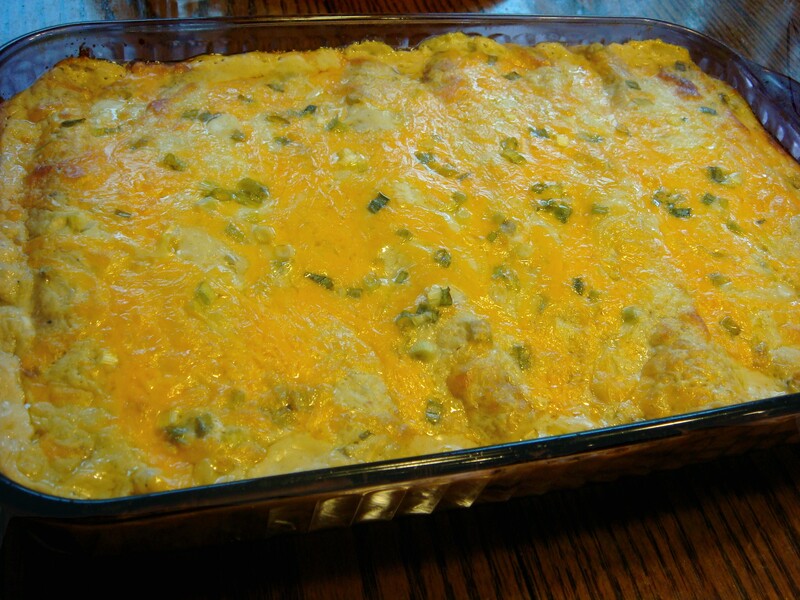 The sauce for these enchiladas is made from a mixture of prepared Green Enchilada Sauce (in the big cans), cream cheese and canned diced green chilies. I could eat it with a spoon! Then topped with additional cheese (can there ever be enough?) and green onions. This is also a great freezer meal once it is prepared. To prepare this for a freezer meal, I usually double or triple the recipe (one for tonight, one/two for meals later), and roll the chicken filling in the tortillas. Line a baking sheet with foil or waxed paper and place the filled enchiladas on the pan, being careful not to let them touch. Freeze for several hours, until solid, then put the frozen enchiladas into a Ziploc bag. The sauce can be frozen separately in several smaller bags. Then you can pull out as many pre-made enchiladas as you need for dinner: you are not committed to a whole 9×13” pan. They can be cooked frozen (thaw sauce); just increase initial cooking time to about 1 hour. 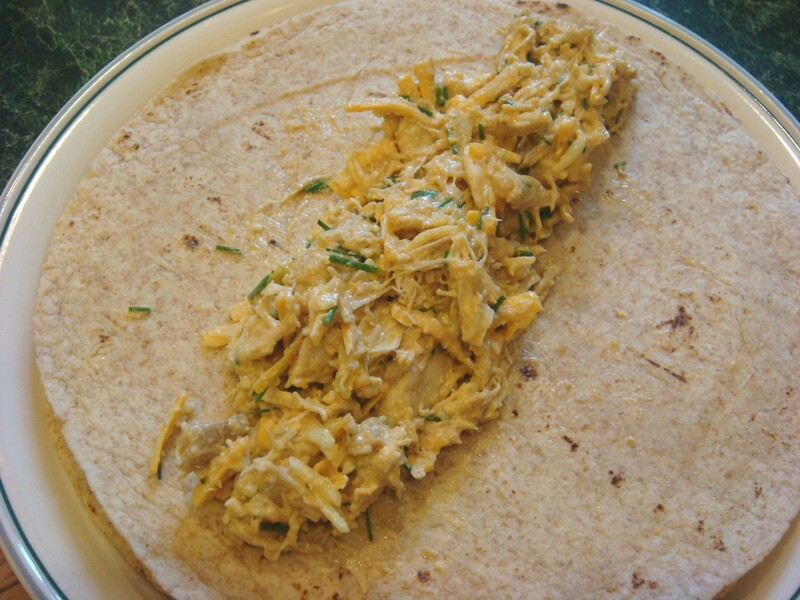 Combine cooked chicken, taco seasoning, 1/4 cup chopped green onions or chives and 1 1/2 cups shredded cheese. 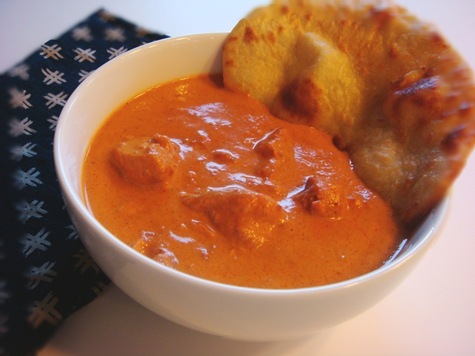 Using a mixer/blender/immersion blender, mix green enchilada sauce and cream cheese until no lumps remain. Stir in canned chilies. Add about 1 1/2 cups of the creamy sauce to the chicken; mix well. Pour a small amount of sauce into the bottom of a 9×13” baking pan. 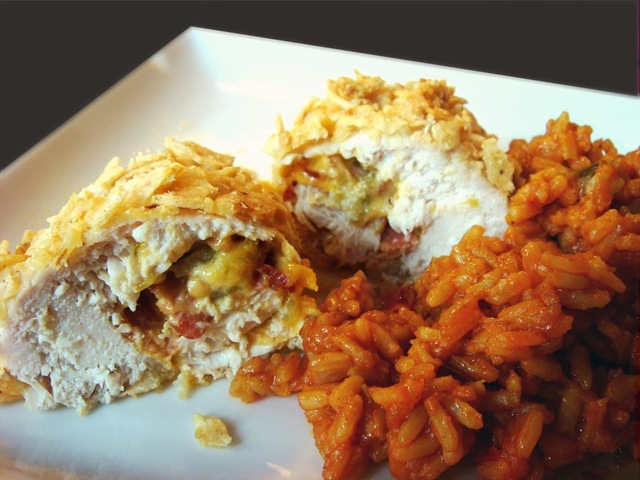 Roll chicken filling in tortillas. Place enchiladas in pan. Pour remaining sauce over enchiladas. Sprinkle with remaining 1 cup cheese and chopped green onions. Cover and bake for 35-45 minutes, or until hot and bubbly. Uncover and bake 10 minutes longer. I shredded a crock-pot full of chicken a while ago with the intention of making these enchiladas, but life got the better of me, and I didn’t get around to it until recently. Once you have chicken shredded, these enchiladas go together really quickly. My husband loves these because there are no filler ingredients (rice, beans, etc) just meat and wonderfully creamy cheese. I cooked the chicken in the crock pot with about 1 cup of salsa. You could also use leftover roast chicken or turkey. When the crock pot chicken was tender, I shredded it, using some of the chicken for a chili, some for a soup (details soon), and most of the rest for these enchiladas. The filling for the enchiladas uses the chicken, shredded cheddar or Monterey Jack cheese, sauteed onions, garlic, some salsa, and cream cheese (this is what makes them so wonderfully creamy!). You can also add cilantro to the filling, but I didn’t this time. I just used it in the sauce. To make the enchilada sauce, dump all of the sauce ingredients (see recipe below) into a blender, and blend until smooth. 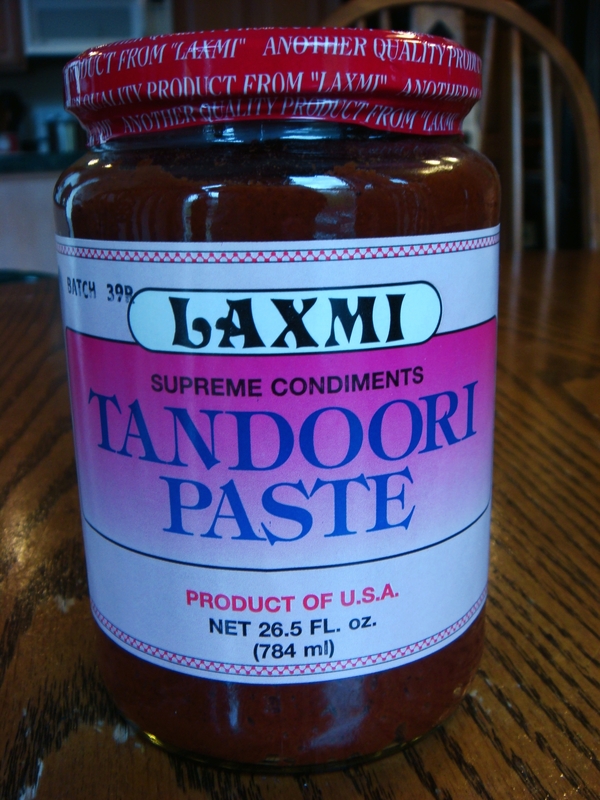 Place a small amount of sauce in the bottom of a 9×13″ pan. 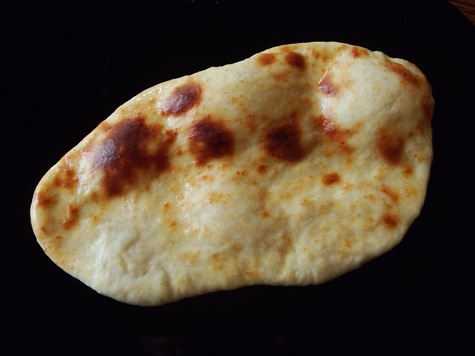 Roll about 1/3 – 1/2 cup of filling in a tortilla. 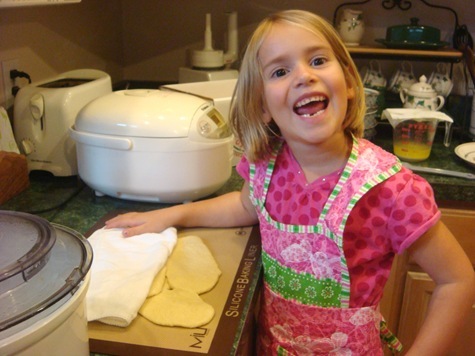 I used flour tortillas, but you could also use softened corn tortillas. Cover and bake at 375°F for about 45 minutes, or until hot and bubbly. I love using non-stick foil for covering saucy or cheesy dishes. No sticking! Really. Uncover and top with additional cheese, chopped green onions and sliced olives. Bake for another 10 minutes. Serve with sour cream and additional salsa. We also like to have Mexican rice or refried beans on the side. Combine filling ingredients. 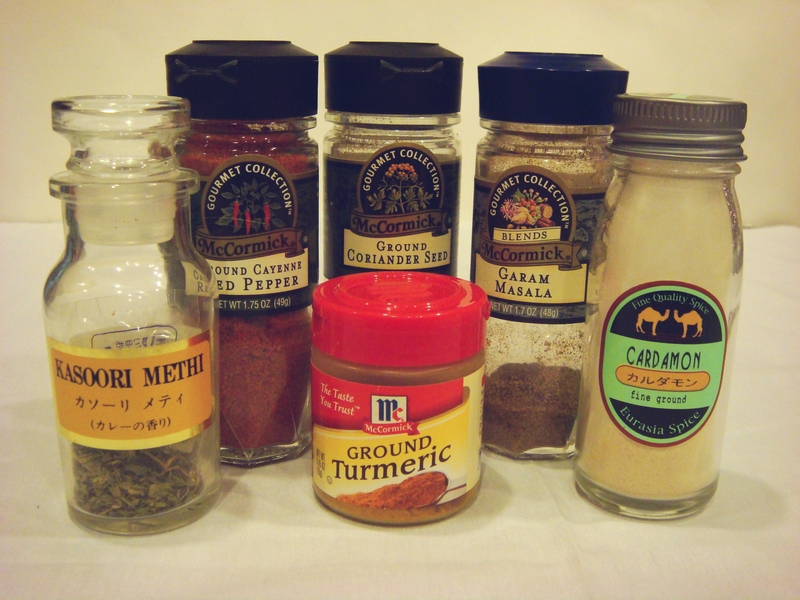 Blend sauce ingredients in blender until smooth. Place a small amount of sauce in the bottom of a 9×13” pan. 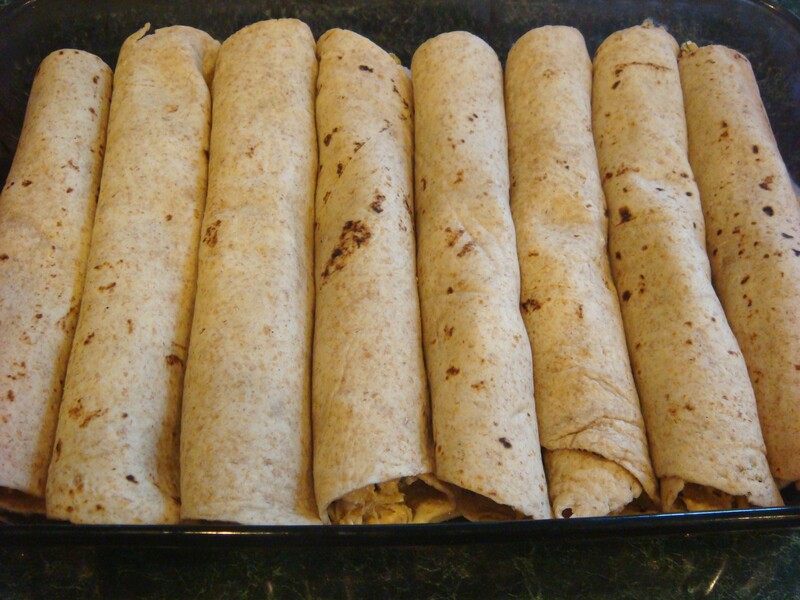 Roll filling in tortillas. Place in pan, seam side down. Top with remaining sauce. Bake, covered, at 375°F for 30-45 minutes, or until cooked through. Uncover. Sprinkle with cheese, olives and green onions. Bake, uncovered, 10 minutes longer. Serve with salsa, sour cream or guacamole, if desired. TO FREEZE: Prepare and fill enchiladas. Place on a waxed-paper lined cookie sheet and freeze. Place in freezer bag when enchiladas are completely frozen. Freeze sauce in a separate bag. Freeze cheese in small bag. TO PREPARE AFTER FREEZING: Thaw sauce and cheese. Place small amount of sauce in a 9×13” pan. 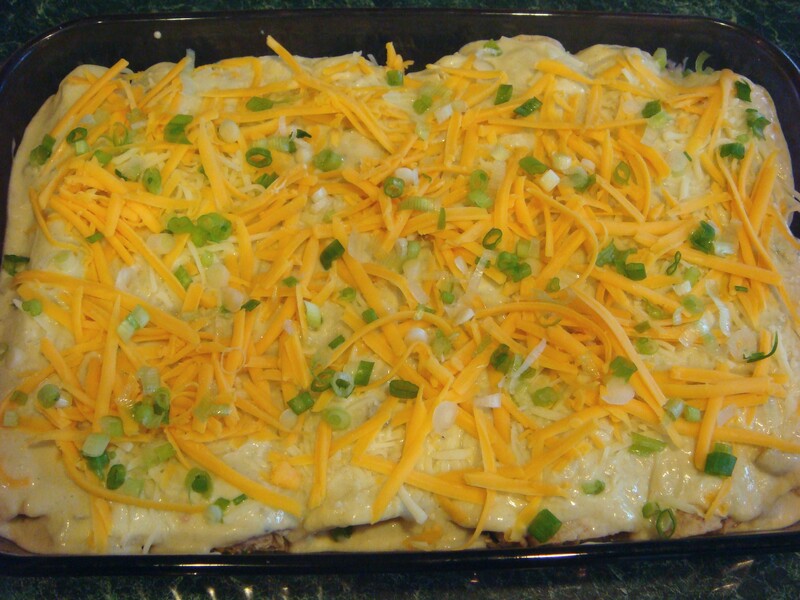 Place enchiladas in pan (it is not necessary to thaw enchiladas). Top with sauce. Bake, covered, at 375 F for about 1 hour, or until cooked through. Remove foil and top with cheese, olives and green onion. Bake, uncovered, 10 minutes longer.